As a former Family Life and Child Development student of the University of the Philippines Diliman, I studied about children and what affects their development. It is not new to me the effects of labor migration in family relationships and dynamics. Most of the times, it is the children who are affected since they need to deal with the absence of one parent or both. If you watched the movie “Anak”, there you have seen the negative effects of parents working overseas to children. When I worked in Cebu, I met Mrs Mia Fe Feliciano. She is a nurse in the US and is married to a high-rank military official in the Philippines. I was then one of the private tutors of her younger children so I had close relationships with her kids. The Feliciano children – Paolo, Karl, Matt, Kaela and Miggy – are brilliant and talented. In spite of coming from an affluent family, they are kind and humble kids. I was amazed by how Ma’am Mia assumes her responsibility as a mother from afar. Every night, she would call her children and speak to them over the phone to ask how things were going. The webcam was also on so that she would be able to see what her children were doing. At least once a year or even more, she would go back to Philippines and spend vacation with the whole family either in the country or abroad. What she does as a mother is inspiring! You came from a well-off family – your father is a lawyer and your mother is a doctor. What made you decide to work abroad? How long have you been working outside Philippines? I took up nursing as preparatory for med school. But then, I was the only one in the family denied of a US visa because I was still a nursing student that time. This drove me to make nursing as my career with a goal of getting a working visa. I was on my way to the US when I met my future husband then. He was an intelligence officer who wanted to marry me. Despite that, I pursued my American dream but it lasted for 2 years. I decided to go home to get married. We started a rattan business and we had my 3 boys. The business fell apart. My eldest son Paolo just started to go to school. I did not want to rely on my parents so I decided to move back to the United States. In a nutshell, I worked in the US in 1993 till Feb 1995. Went home to get married and had my 3 boys Paolo, Karl, Matt. I came back to the US in 2000 until present and had my daughter Kaela and Miggy the youngest. What was your family’s reaction when you decided to work in the US? Were they against it or were they in favor of it? My family was supportive of my decision as they have always been. My husband of course did not agree but I convinced him that it was the best decision. I cannot have my family suffer in dire need when the opportunity to provide them with a good life is just at my fingertip. I wanted to prove to everyone that I’m not just this little spoiled person I guess. There are some parents who think twice of going abroad because they do not want to leave their children. They are apprehensive of working abroad thinking that their children might become delinquent. What can you say about that? I had that fear as well but at that time our financial situation was our biggest problem so I decided to solve that first. My greatest fear was always not being able to provide the needs of the kids. My goal has always been to be able to provide my kids a life like mine. So I was coming back here to work and bring my family when the visa allows. But with my husband’s career and believing on what he does, I have decided to keep the kids with him and the rest is history. Your children are studying in prestigious schools. Your eldest son Paolo has finished Business Management at Ateneo de Manila University, Karl is in De La Salle University and the rest of your children are studying in Centre for International Education. They are intelligent and respectful children. I am curious how you raise up such lovely children despite the distance. What was your secret? How do you ensure that your children are well-brought up given the fact that you are far away? Communication was the most import thing for me. I have always addressed my children individually according to their needs and wants. I made my children understand why I had to be in the United States depending on their level of understanding. Example when they were young I said I’m here so I can buy them toys. I did not say because I have to pay up the debt. Technology was a big help. And of course my husband and family’s support was the biggest factor. My husband made sure that they were able to visit me here. This provided us with an opportunity for quality vacation. Being able to bring them to Disneyland was the highlight of their young life. I made photo albums of our adventure out of hobby. I later discovered that these albums were utilized by my husband to keep the kids connected with me. I guess it reminded them of a happy place with me. I’m also very thankful that I have a very supportive mother and two sisters, Ilang and Golda. They visit my family in Cebu from Pagadian and spend time with my children. In my absence, they are willing to be there for my kids unconditionally. When I’m home, I always have a family forum which includes the yaya’s. I make everyone speak up for all their concerns and complaints. All the issues are brought out in an open manner and we try to address them the best we can. I try my best to follow through even when I’m here. The kids know they are accountable. I stay firm and strict with them. I am lucky to have very caring staff. “Just because I’m not there does not mean I’ll go easy on you guys. When I say NO it means NO”. “Sometimes I have to be mean to be kind to you” This is borrowed from my mom. This is my final question. What is the advice you can give to other OFW mothers and to those mothers aspiring to work abroad regarding family life and children upbringing? To communicate. Listen and Observe. Ask around and believe on the observation of others. Do not be defensive about your kids. Take the observation as an opportunity to learn about that side of your child. The best feedback is in school. Usually when there is a change in grades or attitude, there is issue. Dig deep to find out what the issue is all about. Then address it with a no blame attitude. Make your love and support be known to your child. Show your love at all times. And stay positive. When you are physically home, make it count. Make them feel that they are the priority and not anybody else. Do not be afraid to say no and mean it when you do. Just make sure they understand why you said no. Have rules at home and make sure it is imposed. Make the children be accountable at all times with their action. Follow up and follow through. Avoid comparison between siblings. Address them in their level of understanding. Each style and manner is definitely different from each child. This I have discovered. What is effective in one child can be not effective in the other one. That’s why it’s important to study and learn their behavior. Nothing is perfect so don’t put too much expectations. But always be supportive. Do your best and believe on your kid’s greatest potential. Be sensitive to their needs. Give them what they want and not what you want them to have. Within reasons of course. Never stop making them understand. Be the person your kid needs you to be at that significant moment. Meaning be a mom, a friend, a teacher and even a punisher when that moment calls for it. Allow the kids to talk and really listen to what they are saying. Sometimes it’s not even the words. I don’t know, Teach. I’m just lucky to have great loving kids despite the distance. I do ask them if they mind me being away. They usually say “You’re not really mommy. You’re always here”. Indeed, your children are correct! You may be physically absent, but your presence as a mother is and will always be there!… That ends our interview with Mrs Feliciano! I would like to sincerely thank her for sharing with us some tips on what we can do to strengthen family relationships despite distance! Take-away #1: Let your child understand why you need to work abroad. State it in the level that they can understand. For example, instead of saying “paying debt”, Mrs Feliciano told her young children that time… because she needs “to buy toys” for them. Take-away #2: Maximize the use of technology. Mrs Feliciano emphasizes the role of communication in maintaining relationships. With technology becoming ubiquitous, distance is no longer a barrier. Take-away #3: Have a good network of support. Mrs Feliciano identifies having her husband, mother, two sisters, “yaya” (nannies) and other caring staff as the biggest factor in raising up well-brought up children. She shared that she conducts family forum (joined by yaya and the kids) so that they will be able to raise their concerns and have solutions to those issues. She also stresses the importance of listening to teacher’s feedback in school and act on it when there are changes in children’s behavior or grades. Take-away #4: Spend quality time together. Mrs Feliciano’s family will either visit her in the US or she will visit them in the Philippines and make sure that every second counts! Take-away #5: Be a hands-on mom; know what is happening and address right away if there are any issues. Mrs Feliciano will ask around how her children are doing and find out more if there are problems. Even though she is far away, she ensures that she knows everything that is happening with her children and she takes an active role in dealing with whatever issues arise. Wow,this is a great article for an OFW moms! Kudos to Mia,my kababayan from Pagadian City,I am so proud of you! 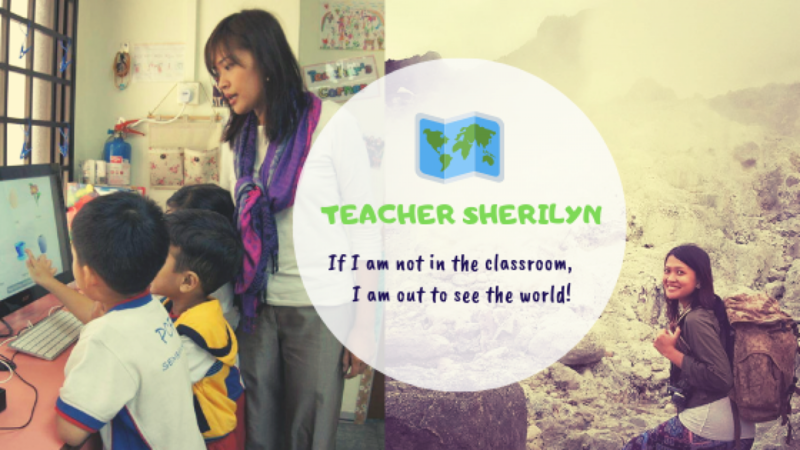 Thank you for writing this Teacher Shiela! My pleasure! It is always good to write an inspiring story to inspire more people. Thank you for taking the time to read this article. God bless!